You have so many options when it comes to crafting the perfect fall ensemble. 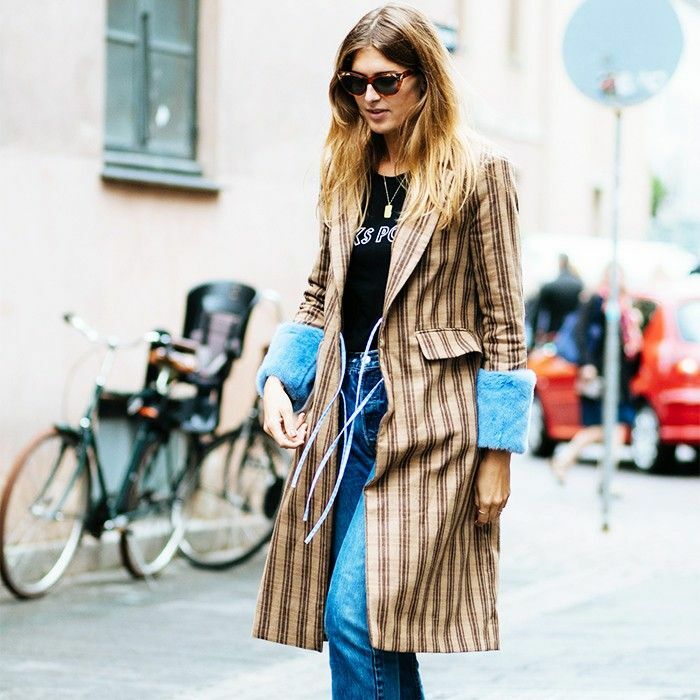 You could go for a gorgeous sweater look with jeans and ankle boots, a knit-dress vibe with sneakers and a moto jacket, and so on. While there's clearly no right answer to the "perfect and most stylish" type of look for fall, there is one ensemble that's proving to stand out more than others—just ask a top stylist and expert! We recently chatted with the Shopbop's fashion director Caroline Maguire to spill on the fall outfit every woman should try this season. We're highlighting her number one fall look below—and showcasing the pieces needed to master it. You'll also find street style shots to inspire as well. Keep scrolling to learn more. And note that all of the items coming your way could totally be worn as is or mixed and matched with other pieces in your wardrobe depending on your personal style. "This style is the perfect wrap dress for fall. Pair this with a high-neck blouse underneath, or [wear it as a] stand-alone [look] for a night out." "Fall is all about layering—the best top to wear alone or under a dress is the romantic high neck. The It top for fall!" "The need is novel denim for fall. Whether it’s a raw hem, patchwork, high waisted, or embroidery and embellishment—you need your denim to have some tricked-up detail. I'm obsessing over this Mother step fray high-waisted [style]. The novelty is understated, but it’s there…"
"A menswear plaid coat should be on everyone’s hit list." "A city block heel—yes, please. Easy to strut on the concrete pavement in NYC. Texture is so key for fall—lurex, velvet, brocade—YES." "These silver cat-eye frames are perfect transition eyewear from summer to fall." "[I] love me a boxed bag for fall. This one fits everything but the kitchen sink! Love the studded details on it." What's your dream fall outfit? Let us know in the comments below! *Ed. Note: Some quotes have been edited for clarity.